In this highly advanced technological world, no one is barred from using or taking a helping hand from their friendly gadgets around them. This article is aimed primarily to help out the students to make use of the available technology in the right way and get the best out of their academics. Here we have compiled a wishlist of all the gadgets that a student should take into consideration for making their life simpler. You can consider using the gadgets in day to day life or keep yourself updated with these gadgets. These gadgets will help you gain a smarter recognition along with your studies in the tech world. This innovative gadget, launched in 2011, topped the chart of being the most favourable gadget for college and K-12 grade students. The gadget is loaded with exciting features and is a comprehensive source of learning and backing up of tutorial studies. Livescribe Echo Smartpen is a perfect choice for students busy with lectures and seminars. You can now record live lectures and rewind them back for revision, when you are free to study. Replay all important coverages you recorded during your seminar meet any number of times by just tapping the notes. Whatever you write through the Echo smartpen, you get assured that it's recorded and what's more interesting is its transferring module. It easily transfers all notes you had written earlier through it to a PDF file for safe backup, so that even if you lose your notes or scribbled it, you remain assured with your backup PDF file. Your voice and video recorded lectures can be viewed in your computer/laptop through a USB cable. You can view your lecture tutorials and audio recorded seminars and tuition lectures just at a click of a button. Now studying was never so easy and interesting, isn't it? With the device, you can learn, maintain your notes and listen to your lectures as many times as you want, to understand things in a better way. Livescribe Echo smartpen bonus point: A continuous recording capability of 200 hours of audio capturing makes it the best reliable source of gadget for student learning. Internal storage device equipped with 2GB space facilitates you to record loads of notes and lectures with ease. Read more about Digital Pens. Generally noise is one of the disturbances faced during study time. This leads to lack of concentration in study and poor performance in academics. Certainly this gadget is very helpful in bridging this gap. Students get a good comfortability according to the make of different headphones. Students who are tired to go to library everyday to beat the external surrounding noise and disturbance, get a good chance to heck all those sounds through these headphones. 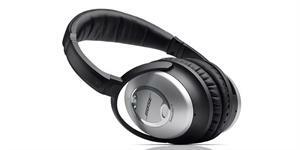 For example, Bose Quiet Comfort 15 Acoustic Noise Cancelling Headphones, has mastered the device for this particular use. They have cushioned ear cups that shunts off all the external noises disturbing the students or professionals. It almost smoothes out the noise from outside to give an extremely silent environment for the students. The device is very proactive and switches to a good music headphone, as and when required for relaxation. Noise Cancelling Headphones like the one mentioned above, cuts off high decibel noise whose frequencies ranges over 90 dB. These are more helpful for students, who are freaking to use the headphone both as a music player and music cut-off device. There is actually no pitfalls to using such devices, so dual functionality headphones are preferred nowadays by teenagers. Bonus Points of Noise Cancelling Headphones : Ideal usage when traveling by air. Cuts off significantly large decibel noises having high range frequency for bus and train travel. The compactness of the device should be marked for better usage conditions and good maintenance. Since the inception of complex studies, students have been looking for devices that would make their learning quick and deliberately easy, through e-learning devices that effectively provide all kinds of medium to store books and stream their required contents at the flip of a touch. Well if you are in this group, then you should take note of Amazon Kindle Keyboard 3G eReader, that stores books, allows students to read their notes on the tab and work on their homeworks with ease. It is more of a hands on library for all students as it can have 3,500 books stored. This is one of the most bought device by college students. A handy 8.5 ounces device and extremely thin gadget, it has brought about a new revolution by indulging students in current technology. Students can study upto 2 months of time without even keeping it off upon one time charge to the gadget. The built in Wi-Fi device support makes it handy for students to browse online library and contents they heavily rely upon. It has an in-built dictionary and it reads information and stores all books in PDF format. It comes with a supportable lock-in feature to lock your books for extra safety. So you can carry your book world anywhere, anytime, wherever you go. The Kindle itself provides you with thousands of free books according to your profession. It doesn't take even a minute to get your e-books; with the faster wireless internet application pre-installed, downloading books have been made a cakewalk Kindle users. With the Wi-Fi enabled, you can listen to thousands of audio books, published by popular authors and newspapers. There is actually no need to setup, download or run any software within the device. Just a tap and you are on reading books and listening audio lectures! 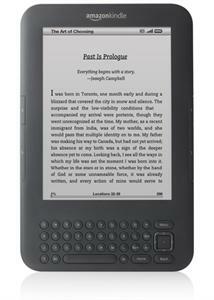 Read this link for information on Amazon Kindle Paperwhite 3G , another eReader. Amazon Kindle Keyboard 3G Bonus Point : The biggest advantage of launching this eReader is the comfortability that it provides for each student. All those heavy books and bags are fast replacing with this gadget being sold worldwide. Essential access to public libraries by Amazon gives students the opportunity to read books they actually like during their spare time. Read more about Amazon Kindle Products. Ever imagined of alarm clock that runs on water based power? If not, then realise it no. The green technology of alarm clocks that run on water supply will soon feature as one of the prospects in days to come. Yes, talking from the point of view for students, this alarm clock is extremely useful. Not just useful, it may hold as an attractive style icon for your study room. Such alarm clocks can optimize your schedule timings with alarm feature that rings and reminds you of the particular purpose to be undertaken for that particular time. It is a type of digital clock where you barely need to think about its power supply. You can recharge your alarm clock by filling liquid into it. What's even more interesting is, you can make it run on coffee, soda and brawls. Just a cup of liquid is enough to make it run for 7 months of time without any hiccups. Isn't it fabulous and amazing? Also considering the gadget looks and its outfit, a sleek and trendy outfit blooms on its front side and back side, a plastic cover blue layer to hold the water in storage for the device. The design is simple, trendy and holds lot more than enough for a medium priced alarm clock. Students who had purchased the alarm clock gave a tremendous feedback in the recent past as it blossomed with their schedules all the way. Bonus point of the device: A good looking simple design perfected by a water technology based clock that covers all important schedules and time for students. Imagine how far our science and technology have moved forward to give students some stunning gadgets that work in extraordinary conditions. This one is the solar powered backpack developed by Voltaic team. This newly built technology that works on Solar Power System has gained a lot of attention from its local audience in U.K. This friendly student's gadget will be able to charge mobiles phones from any remote place irrespective of its location. The only primary thing is that the gadget needs to be first charged under the solar light for thorough use. It is certainly one of the very comfortable and versatile bag for multitaskers. It can almost charge any type of electronic device ranging from iPhone to iPad and all remote devices. There are plenty of storage spaces available in the bag. Some of the storage available in the bag includes the laptop cover space, a special dedicated phone cover pouch and spaces to keep your books as per your needs. You can simultaneously charge two devices from your solar powered laptop bag. An average bag generates 4 watt electricity from 3 complete hours of charging in the sun. Solar plates are provided in front of the bag to absorb the solar rays falling on the plates. The plates have been made appropriately water proof and durable so that they remain a long lasting component for any bag. An hour of charging shall give required charge for your phone to talk about 3 hours. External adapters are provided for charging through electricity too. A 7 hour continuous solar power shall have a full charge for the device, which will last for 2.5 to 3 days of time depending upon your usage. 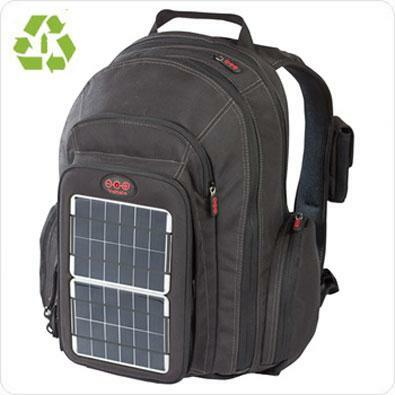 Bonus point of Voltaic OffGrid Solar Backpack : Some of the highlights that defines a positive note in the gadget are it is water resistant and smooth fabric which allows air to circulate through individual's arms. It is made up of recycled soda bottles. There are many external and internal chargers available for charging electronic devices and the backpack itself through electrical system. The upbringing of motion activated closet light is very helpful for those students and professionals who hate to go dark amidst work. You can use this device to light up your small little room in darkness. The best feature of the gadget is its automatic operation when it detects the darkness inside a room, may be that's way the name closet light is given. Good quality LED lights are provided, which gives an unmatched continuous light streaming equivalent to 100,000 hours. The light can be used in a study room for students who are involved in studying late nights, especially for those who live in shared accommodation in hostels. Students who are always interested in night studying can beneficially use the gadget for everyday works. But the limitation of the gadget is its limited period power availability as it turns off abruptly every time charge is over. Constant recharging is necessary for the gadget from time to time for its wise and effective use for students. Gadget comes extremely handful for students living in areas where electricity problems incur all the time. Since the gadget is based on motion censor, it always depends upon the sensory motion of the surrounding that comes into picture. It has removable Velcro strips for good side protection of the gadget. According to the Canadian Tire, the original maker of the product, this particular gadget comes with a warranty period of 1 year. Bonus point of Motion activated closet light: The most interesting part of this gadget is its useful usage during extreme conditions. A beneficial gadget for boarding students of schools and hostel students. Favourable gadget for students who wish to study at their homes located in remote areas having no electricity. The gadget is very much affordable because of its low cost. The Polar Pillow is an interesting little gadget not only meant for all the students and professionals, but also for everyone who receive some or the other problem while sleeping. Polar pillow is a new technology where a kind of liquigel is used to formulate a medium of cooling in the surface of the pillow. The pillow contains air pores and micro air beads for cool air to pass through it to the back of the human head. Therefore a significant result of peace and calm is obtained during sleeping. For those students who complain regular headaches, backaches and heavy back pain will benefit from the gadget in a huge way. 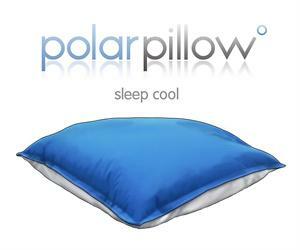 This gadget comes up with polarpack that needs to be used for constant cooling of the pillow. It should only be used after being kept in the freezer first, so that immediate results can be obtained from the pillow while sleeping. 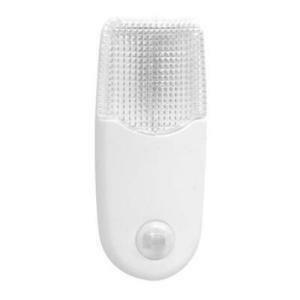 The gadget is also very helpful and life saver during the extreme summers. With the amplified cooling technology, you see instant results which will help you gain a good comfort in your bed. Even if you don't use your polarpack, the result will still be good but in a slower way. If you feel the cooling will be availabele only during first couple of hours, then you are wrong. It all depends on re-energizing capability of the gadget. The pillow is automatically re-energized every 30 minutes of its usage. It means, you will still remain in your same comfort of cooling throughout your sleep with the pillow. In short you can state that Polar Pillow is a pillow air conditioner for you during the summers. Bonus point of Polar Pillow gadget : The polar pillow is an interesting device that is used to break the heat and uneasiness during the summers. Mostly helpful during the summers, the gadget performs the function of an AC during the sleep. So now, no more headaches and back pains, since polar pillow will enable you to get a cooler side of things. Polar pillow comes handy when it comes to reducing excessive body temperature when body temperature crosses a normal level. Specializing cooling gel weighing approximately 500 grams is present in the polar pillow. Have you ever wondered a friend lending you a helping hand in cleaning and moping your floors and house cleaning? Then you have heard the perfect gadget especially driven for students studying from their comfort of hostel. This particular gadget is equipped to clean bathroom floors and helps in maintaining a perfect housekeeping cleanliness. It works automatically. All you need to do is fill the required amount of water in the bucket of the device and place it at the centre of your bathroom. It starts cleaning automatically without any pre-directions given to the gadget. It is an extremely useful gadget to handle all types of cleaning purpose on a small space. It cleans all the bathroom and kitchen floors in no spare of time. It is a type of robot vacuum cleaner, where the gadget runs on battery power. During its use, students can place it near to the adjacent walls of their bathroom floors, and turn it on for its action. You may see the cleaning process being completed within 15 minutes of time. It's an interesting device which comes up with the feature of cleaning and sweeping floors to get a better cleaning result in the floors. It comes with caveats which provide enough compatibility for its support and cleaning work during its use. The only part of the maintenance that iRobot Scooba needs to be looked after is cleaning and wiping its dirt collector shells from time to time. You will have to clean the inlet and outlet pipes weekly to remove all the dirt from the device. It's a short little compact device, handy to use and easy to maintain for students. Its adaptive tracking feature allows it to mop and clean your washroom in an innovative way by taking note of its dimensional length and location of obstructions. 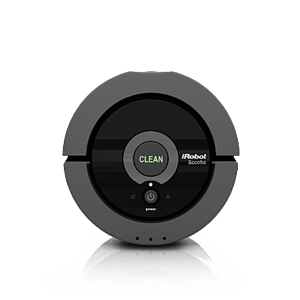 Bonus point of iRobot Scooba 230 cleaning machine : The iRobot Scooba is advantageous because it washes and maintains cleanliness in the floors at a great convenience. Easy to maintain and simple to use for college students at their hostels. No noise during its operation of cleaning floors giving it the name of noiseless machine. Advanced water management feature enables it to use dedicated supply of water without wasting it. A real workable tech gadget for all lazy students who hate to clean their own bathing floors. GadgetTrack is one of the security systems that keep track of all your electronic devices. You can use GadgetTrack software to back up your data of your smartphones, remove your backed up data or restore them on any other smartphone you wish to transfer. They have mobile security software that tracks your smartphones/mobiles through a dedicated password and key. You can keep an eye for your laptop, so that someone may not be able to break through your personal info. By using GadgetTrack technology, tough security issues have been resolved, since helpful security software verifies and reports issues to the original person at a rapid pace. You can keep a check on your iPod, iPad and iPhone security monitoring systems through itunes, which means that any guest user who uses your iPhone's touch screen can be caught red handed. So all your essential key elements of your gadgets remain safe under your belt with the tough advanced security system, difficult to break. In short, the system uses the technology of mobile tower location, Wi-Fi systems, and GPS navigation for tracking the lost devices. Using the advanced technology, your key data in your smartphone, like financial information, important contacts and sensitive information can be readily removed when you have lost your device. It locates the original location through GPS system and rings an alarm (if setting done on mobile previously) on your phone when theft has occurred. Students can use the device in a positive way to keep an eye on all their devices which may be used for multiple uses by their friends. Remember to verify and register your device at the official website for further tracking of it. SIM change detection can also be alarmed to the students if their friends are caught involved in changing SIM cards from their phones. GadgetTrack for iPhone OS is also available for privacy concerns and location reports. Students can use it wisely against theft protection for their electronic devices. Bonus point of GadgetTrack Security systems : The most student friendly supportive feature of the gadget covers some important security concerned software that can be used to monitor private devices having high confidential information and require utmost security concerns. The GadgetTracker can be used to track Laptops for their document recoveries and securing high confidential risk information with passcodes and location tracker for more flexibility. Last but not the least, the IDPAT i1 Eco Universal Charger works as a charger for all the electronic gadgets and devices you need to work onto. It is an innovative charger which is eco-friendly in nature. In short, the i1 Eco is the first charger to come up with a system to reduce the daily hazards and consequences of the environments. This charger is universally accepted as the only charger which works to charge all your gadgets from laptops to smartphones, from iPod to iPhone and all. Some of the characteristic features of the gadget include its ability to charge two simultaneous gadgets at the same time – one through the main point and the other through the USB point. The design of the device is very simple and efficient, especially kept in mind to reduce the hassle of wires and cords. S,o charging devices has been made quite simple, yet very effective. No wonder, there remains almost no device which you can't charge through it, including tablets and notebooks, video players and multimedia players, Windows phones and Android smartphones. The i1 Eco from IDAPT is the biggest selling universal charger in the world, developed uniquely to input common charging for all available smart devices in the market. The i1 Eco is also comfortable while you are on the move, facilitated by the new specialized car plug. 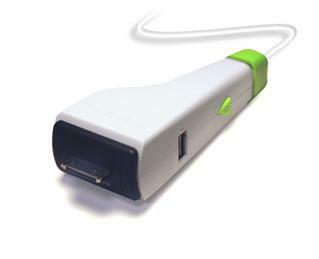 Students can use it interestingly to save time and energy with multilink charge points enabled on the device. Since the charger is made of recyclable materials, it also works as a medium to reduce the increasing pollution standards. A particular wall plug is induced with the device for college students, so that they can use a single power plug with a medium to charge multiple electronic devices at the same time. Useful power saving guide can help in saving power and energy through the portable universal charger. Bonus point of IDAPT i1 Eco Universal Charger : The biggest inevitable point is its affordability. It has been made affordable for all the gadget freakers who readily require a universal medium of charging their electronic devices. The Auto turn off features enables the charger to directly turn off when the device is completely charged, thus saving a considerable amount of energy. Quick charging enables an effective way to charge all devices randomly fast.